Been wanting to do this for a while (about 3 months) but been too busy with other things. Decided to squeeze it in this morning and it worked out quite nicely. 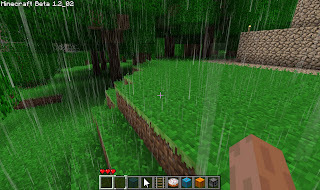 Its different than Wild Grass in that it doesn't grow which wouldn't make sense for AdventureCraft. Also, its handled in way so there isn't annoying patterns like you see in WildGrass (random selection of the texture over a 96 wild pixel area). Its a toggable option for those who don't want it or the performance hit that it could incur. how does it look with flowers?